This holiday season residents of Boulder City can help families, children and senior citizens in need through the annual Angel Tree event put on by Emergency Aid of Boulder City. Celia Shortt Goodyear/Boulder City Review Emergency Aid of Boulder City is holding its yearly Angel Tree event with cards to help those in need on the Christmas tree at Boulder Dam Credit Union, 530 Avenue G.
“People have always been very generous,” said Co-Chairman Kathleen Wood of the donation drive. The yearly event has provided Christmas gifts to kids and seniors in need through the years, but according to Wood, more seniors are in need now. “There’s been kind of a flip with the numbers,” she said. For the past two years children have accounted for less than half of all the people reached through Emergency Aid’s Angel Tree. In the years prior they accounted for approximately two-thirds. For those who want to donate, the process is simple. 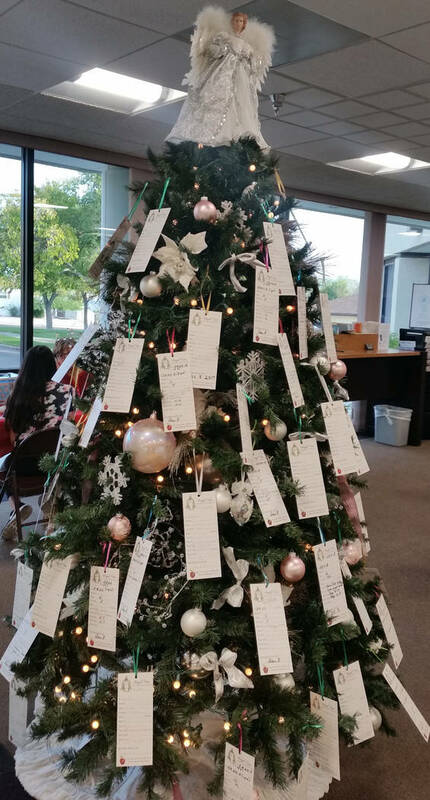 The tags are available on the Christmas tree at the Boulder Dam Credit Union, 530 Avenue G.
Those who pick up a tag and buy a gift should bring the unwrapped gift back by Friday, Dec. 8. 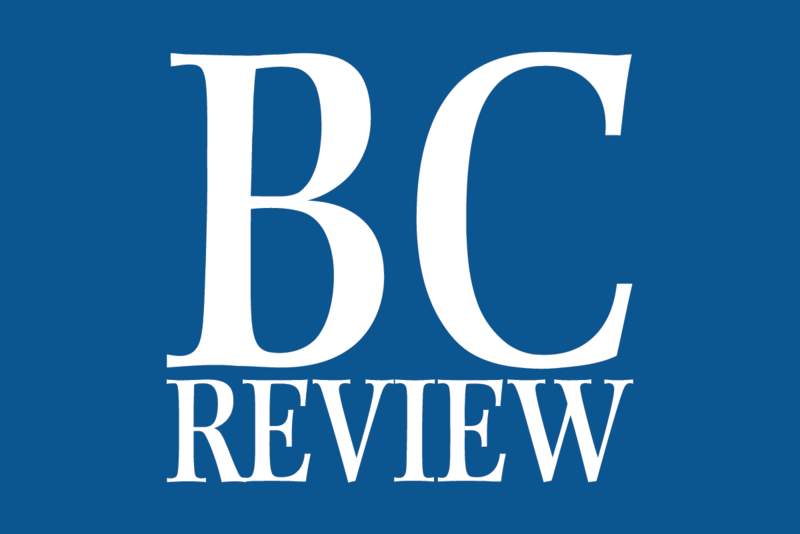 “The various senior centers will take care of wrapping them and giving them out,” Wood said. The senior centers receiving gifts are Quail Ridge Manor, Mountain View Care Center, Lend A Hand of Boulder City and long-term care at Boulder City Hospital. The drive also accepts cash donations and Visa gift cards that are used to fill the requests on the gift tags.